In days gone by Deirdery was a ballerina extraordinaire, dancing with the likes of Barishnickersov, Nearenuff and Wayne Sleet. However time has passed and poor old Deirdery, like many of us, is not quite as svelte as she once was however every now and then she puts on her tutu (or should that be a threethree these days) and dances away the stresses of the day. 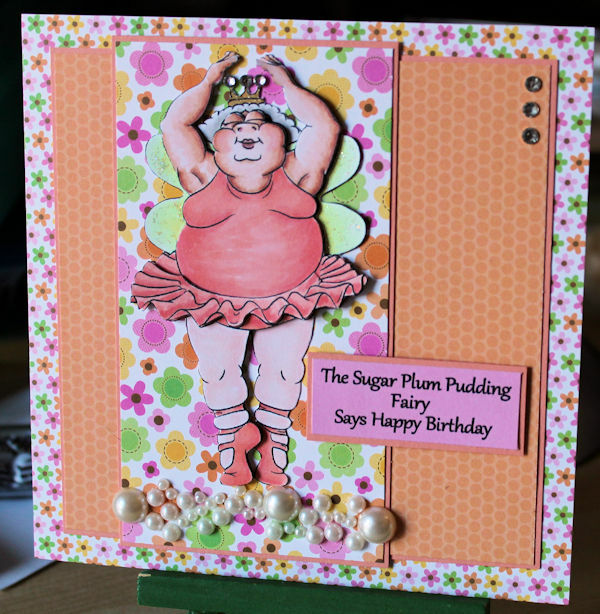 You can find the Sugar Plump Fairy HERE, also check out the other new images this fortnight, actually don't check them out unless you want nightmares bwahahahaha! Love how you have coloured me! I LOVE this card.